Discover interactive inflatable games, bounce house rentals, jump house rentals and slides in benicia! Searching for the best bounce house rental service company in Benicia? "How do you want to make your next event more memorable, successful and fun?" 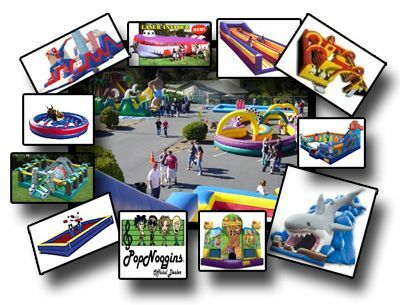 Inflatable Slides, Inflatable Carnival Games, Party Rental games and more! rentals of interactive inflatable games in northern california, san francisco, the bay area, benicia. Inflatables for rent like, party games for teens, Inflatable slides, bounce houses, inflatable amusement rides, party games for kids, mechanical bulls, corporate games, inflatable obstacle courses, photo booths for inflatable rentals. Our Inflatable outdoor party games ideas are guaranteed to entertain! Events with inflatable party rental games are better. Warm Up Your Team with Ice Breakers! Ice breakers are little activities and games in benicia are designed to help people get to know and feel comfortable around one another. Some are silly, others are a little embarrassing, and others are merely informative in a light-hearted way. If chosen correctly, ice breakers can be a very powerful tool that facilitates the success of your, meeting or company party in benicia. In choosing an ice breaker for your party you need to think about the personality of your group and its ultimate purpose. That's where Prime Time can help! We deliver the interactive fun to your benicia location with our exciting games! Prime Time is Northern California's 1st ever interactive entertainment rental company with 27 years of experience in benicia, specializing in wild & wacky blow up inflatable party rental games for church carnivals, company picnics, school parties, youth group events, and carnivals, company parties, corporate events, team building events, foam party, church fall festivals in benicia. The best graduation party games ideas, school carnivals, sweet 16 parties, bar mitzvah, bat mitzvah, trade shows, youth groups, festivals, little opening day activities, kids birthday party games ideas, school and church fundraisers, EID Mubarak/Ramadan Festivals, school carnival games for rent, country western themed parties, or for any other spectacular event in Benicia.